You discovered ActiveCollab and you’d like nothing more than if the whole team switched to it. Unfortunately, that doesn't depend on you but your boss. To help you, we’ve put together this handbook that will help you convince your boss to use ActiveCollab. Have a minute? Great. I just found this nice app. I really love working in it and think the rest of the team would also. It lets you create tasks, comment, create invoices ,track time, run reports, add labels, send emails, create discussions, receive notifications ... [and so on] ... and change backgrounds photos. It's $49/month, and if we pay for the whole year we get 2 months for free. We can also buy the software and host it ourselves. We'll tell our admin, you know John, to install it on our server. Or we can just use the cloud. In that case, it'll cost us $490 for the whole year. Anyway, it looks really nice. It's spelled A-c-t-i-v-e-C-o-l-l-a-b, two words. Check it out and let me know what you think. What's wrong with this approach, you may ask? He comes unprepared. Even worse - the boss is unprepared. Nice app? That’s neither here nor there. The t-shirt is nice. What you’re aiming for is save-hundreds-of-dollars-per-month groundbreaking. You love the app? That's nice. But the boss is more interested in what the team and the accountant thinks. Don't start with a price or mention it before you’ve given value. When someone hears about the cost, all they can think about is how to avoid it. Don't put the cart before the horse and start planning the future. 2 months for free if you pay for the whole year doesn’t matter at this stage. Self-hosted or cloud? It’s too early for this dilemma. If know your business, choose the best option and mention alternatives only if asked. It looks really nice? The visual impression shouldn't be your conclusion or even the main selling point with which you close. Instead, close with the main benefit that will ring in your boss’ head and make his heart jump from joy every time they hear it. Don't spell out the name thinking your boss will bother searching it. Send them the link, or even better, sit down and don’t leave until they tried it in front of you. Closing is weak. You want to capture their attention and inspire them to take action, investigate further, or at least ask for more information. Getting new software and making the whole team use it can’t be done in a day. Adoption takes several weeks and you should approach it with a long-term plan. There are several approaches, depending on your boss’ leadership style. If the boss like to make decisions alone focus on the benefits they can identify with: better management, higher productivity, fewer problems with the client, higher profits, fewer meetings, accountability for actions, all info in one place. If the boss like to consult the team first, before approaching them, get support from other people. Don't tell them how it works - show them. Let other people use ActiveCollab and talk about it, not you. Then, recreate your workflow in ActiveCollab and do a demonstration before your boss. Once you have boss’ interest, let them play while checking their progress. Propose a trial period and work on adoption. The boss decides in the end, but that decision is usually made by people around them (they just don’t know it yet). After all, you wouldn't go into a battle without a sizeable army, right? Just like in chess, the best way to capture the king is to take on the pawns first and work your way up. High performers, because you need credibility and the boss listens to what the best people on the team suggest and gives it greater importance. Non-proficient users most likely to complain, because if you have their support, the boss doesn't have to worry about introducing a new workflow and can be assured that people with poor tech skills won't have any problems using the app. Find out whether everyone is dissatisfied with the current workflow. The goal for this group should be that they don’t have any complaints about ActiveCollab. Show them how they can get more things done. The more people you have on your side, the easier the next phases will be and you'll have more weight to support your case. Remember, your team members will be the primary users of ActiveCollab - if you don't have their support, getting only your boss' attention will get you nowhere. Take the time and guide your boss through ActiveCollab. Show them how to make a task, invite people, and comment. Then, show them how to create a report. That will get their attention. Focus on all the types of report they can run and the bright future ahead. Create a team member role and a client role to show the boss who sees what. Bring two laptops or use two browsers, with different users already logged in. Point out how this would be great while dealing with a specific client you have. Have a demo project available that closely resembles your work. Show how easy it is to do something. Then, leave the URL and the account password so they can play. Take a spreadsheet and calculate how much money you spend on: telephone, invoicing software, chat, time tracking, and other software. Add to that upgrade and maintenance costs + work of consultants + wasted time. Point out how ActiveCollab replaces them all and cuts down your costs. Pricing starts at $25/month which is good value for software that improves your bottom line by making you more productive. If you only use email to collaborate, show how crazy long threads and CCs can get (provide a screenshot) and how much time people waste trying to find something. Contrast that with the order ActiveCollab brings. If you rely on Excel/Google spreadsheets or a basic to-do list to manage work, show their limitations (like how difficult it is to make a report that breaks down finished work and how much you’ve earned for the previous month). If you use another project management app, analyze each feature and point out what your existing solution lacks. You can also buy ActiveCollab and pay only once (the self-hosted option), which is really rare for a web app. Hardly anyone offers that. If you can't use most project management web apps due to the data privacy issue, this alone is your winning argument. You can find more information to make your case for self-hosting here. In the end, your main argument is that ActiveCollab helps you do more work and thus make more money. Repeat that at least 20 times so it’s branded in your boss’ brain. Send a few emails to your boss asking if they had the time to test it. Then send some more emails. Point out how they wouldn't receive so many emails if you used ActiveCollab. Build hype by keeping other updated so the team knows what to expect. Ask for their input and let them own a part of the process. Let one person come up with the best way to organize tasks and other for coming up with useful labels. You’re making history right now so let others participate. Be consistent with your message: choose one benefit and stick to it, then keep repeating it until it becomes synonymous with ActiveCollab. Once you persuaded your boss it's a good investment and they’ve greenlighted company trial, start working on making the rest of your team adopt it. Put a temporary ban on all internal emails and you'll see how fast a team will start using ActiveCollab. Once they invest time and put a week’s worth of data into it, they'll hate the idea of sending another email ever again. To make things sweeter, you can institute an “If it’s not in ActiveCollab, you don't have to do it” rule. 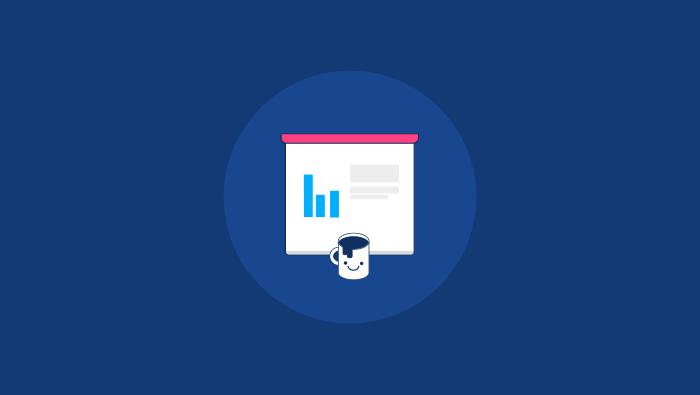 Once your team enters enough data, run a few reports and show them to your boss. It'll become his new favorite tool. That’s when you gently push for commitment. Congratulations, you have everyone hooked. Now sit back, relax, and enjoy your good work. Productivity depends on a good project management tool. In the long run, lost productivity will cost us much more than $49/month. Plus, we already pay for other software and this could replace it and actually bring our costs down. Lots of agencies, freelancers, NGOs, governments, and big companies like Apple, Nasa, Harvard use ActiveCollab. There are a lot of reviews and testimonials you can read. It's specifically designed to be easy to use. Plus, there are quick and fun video tutorials that show the basics in under 15 minutes. I showed it to Jack from accounting, who you know is bad with computers, and he had no problem using it. No problem, we can implement it slowly, keeping our old projects where they are and starting a new one in ActiveCollab. They also have a few importers that can import everything from Basecamp, Trello, Asana, and Wrike. Great. Invite me when you start testing. When can I expect the invitation? Which one? I’ll try it out and compare it with ActiveCollab. If it suits us better, that would be even more awesome! Well, yesterday we couldn’t find some document and the client was all over us, saying how unprofessional we were. And it wasn’t just yesterday, we keep dropping the ball because our current system is so confusing. ActiveCollab would help us manage all that and become better. I’m not so sure either, but we can try. I read some good reviews about it so it’s worth a shot. We have nothing to lose, right? We’ll see how it goes and if it makes us more productive, then great. We break down big things into smaller tasks and assign them to people, right? This works the same and it’s quite flexible so we can make it suit our workflow. Plus, we’ll get a ton of extra features like time tracking, invoicing, and advanced reports in addition to task management and collaboration. Our current system doesn’t support it but that would make our project manager and accountant very happy.